This SUV will get new styling cues and a much better interior. Mercedes-Benz made a big change to its SUV model range back in 2014. The car names stayed the same, but all of the SUVs were changed to a naming scheme with the letters G and L. Mercedes did release a new model to go along with the change, the GLC (which replaced the old GLK). Unfortunately, some models like the ML and GL were simply renamed without any major changes. Auto Express reports that the former will finally get a refresh that should make it more appealing compared to other Mercedes SUVs. The refreshed GLE is set to arrive in 2018, with a likely debut at the LA Auto Show. 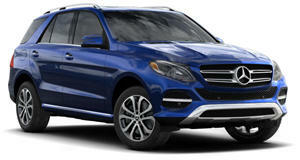 The GLE is a very important model for Mercedes, having shifted a total of 712,100 SUVs last year. Mercedes will also refresh the GLA, GLS and G-Class and introduce a new GLB-Class. The GLE should be the first of the new SUVs to arrive with styling borrowed from the smaller GLC. 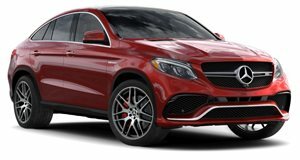 The current GLE Coupe does have its own unique styling, but the standard GLE is basically a rebadged ML, which has been around since 2011. This new design will be much rounder and adopt the new Mercedes corporate look. The interior will also be an area of huge improvement for the new GLE. The GLE is showing its age with a very dated center stack. In its refresh, the GLE will likely add the dual-screen setup found in the S-Class and new E-Class. Mercedes will offer the SUV with several new engines, including a new inline-six engine. Of course, there will be an AMG version eventually. The GLE 63 is one of the last cars to use the old 5.5-liter twin turbo V8, which will likely be replaced by the newer 4.0-liter unit. This should be a welcome change for a model that is really showing its age. The new GLE steps up to potentially lead the pack.